Winter Wonderland isn't that far away! With towering trees, colorful lights, non-stop carols, and seemingly countless bazaars, Christmas in the Philippines is as festive as it gets. And while we love that we can still do all sorts of things like hit the beach in December given our forever-tropical climate, sometimes we can't help the longing to experience a winter wonderland, too. The most we'll probably get is a strong breeze and the occasional (scary) hail storm. So as we count down the days until Santa squeezes through our non-existent chimneys, we round up 10 places around Asia to visit so you can finally experience a white Christmas. Harbin (a.k.a. 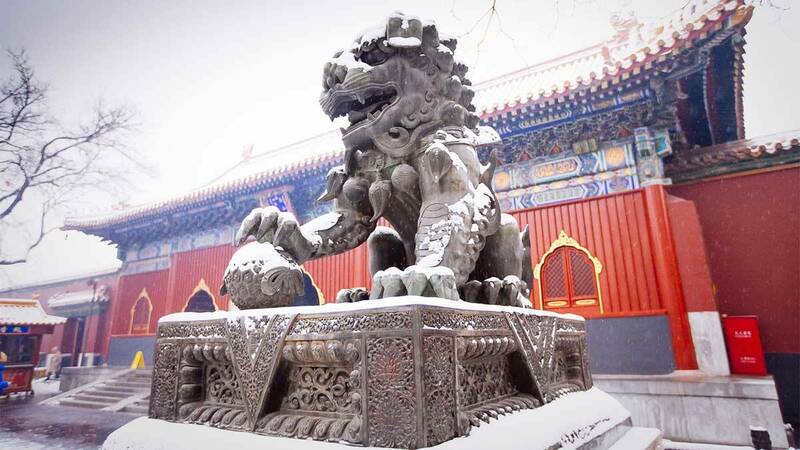 Ice City) is actually one of the biggest cities in Northeast China. 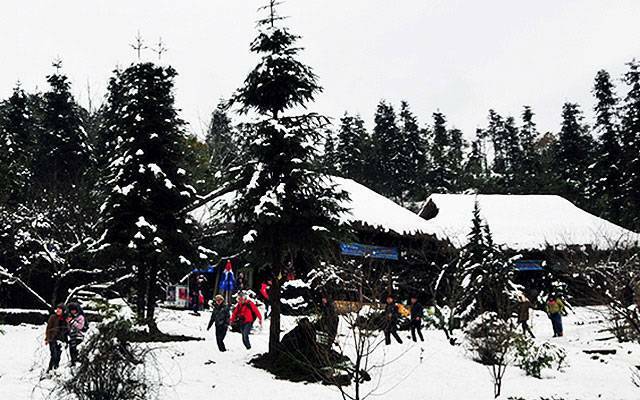 The region, which started out as a rural settlement for fishermen is now home to a lot of winter activities and festivities. The Harbin International Ice and Snow Sculpture Festival held every January is actually the biggest winter festival in the world, as it features huge sculptures of buildings and palaces lit up by colorful lights. They also have other activities like alpine skiing, winter-swimming, and a tour around the city where you can meet a Siberian Tiger face-to-face. 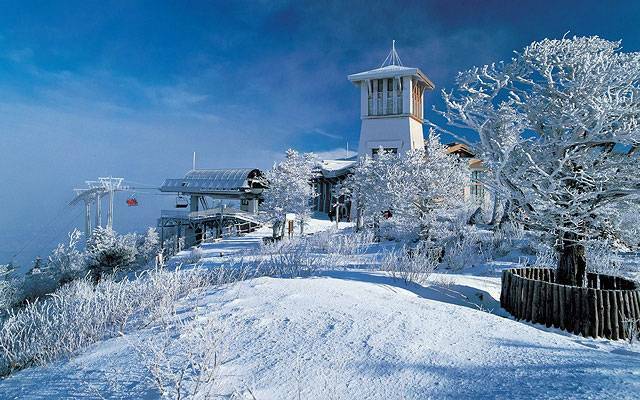 Gongwon-Do gets the most snow out of all the other regions in South Korea. 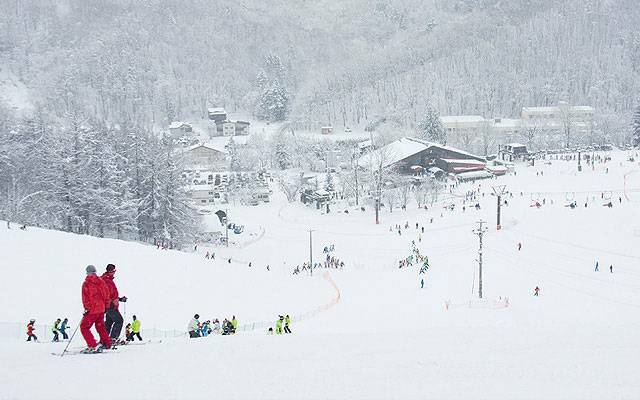 In fact, it's even called the "Wonderland of Snow" and it'll actually be the location of the Winter Olympics in 2018. It only makes sense, then, that there are a lot of resorts in the area, where you can learn new skills like skiing and snowboarding on the many slopes that differ in size. Every November until December, the town of Sapporo hosts a German-inspired Christmas market at Odori Park. The stalls at the event sell everything from homey mugs to hot wine, and German food to celebrate their ties with the city of Munich. Along with the market, the city also gets festive with the Sapporo White Illumination that uses around 520,000 bulbs to light up the trees lining the park. Going on a tour around the capital city of China may already be on your bucket list. But the experience can be made even more beautiful when you walk along the Great Wall of China that's covered in pillowy snow. 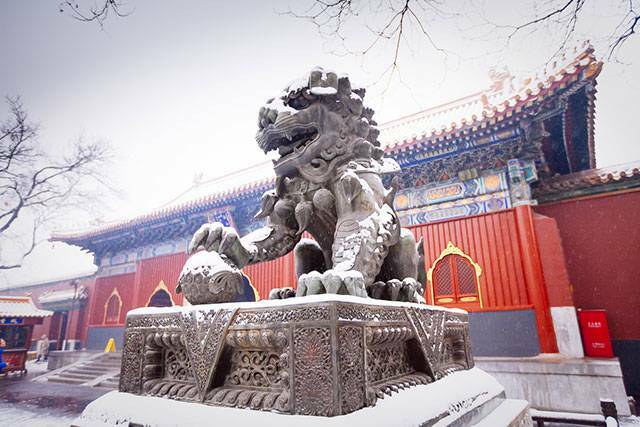 The other historic landmarks including the Forbidden City and Tiananmen Square are also covered in snow. 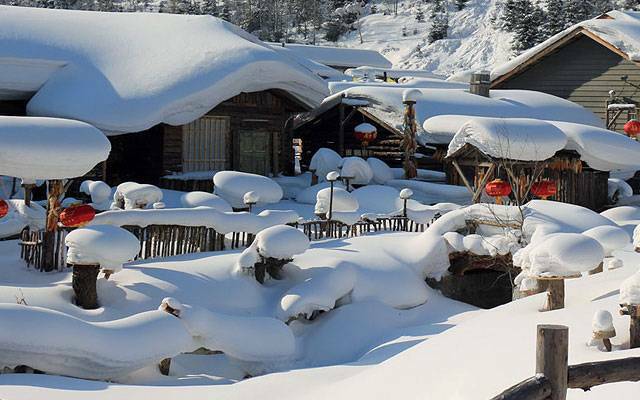 You can also go skiing at the resorts, skating at the frozen Houhai Lake, or warm yourself up by taking a dip in one of the resorts' hot springs. If Santa Claus lived in Japan, this Christmas village-lookalike is probably where he'd be. A Christmas elf could pop out of one of the wooden houses (that are over 250 years old!) blanketed in white snow and you wouldn't be the least bit surprised. What'll shock you though, is how the sturdy, pointed roofs don't use any nails at all. 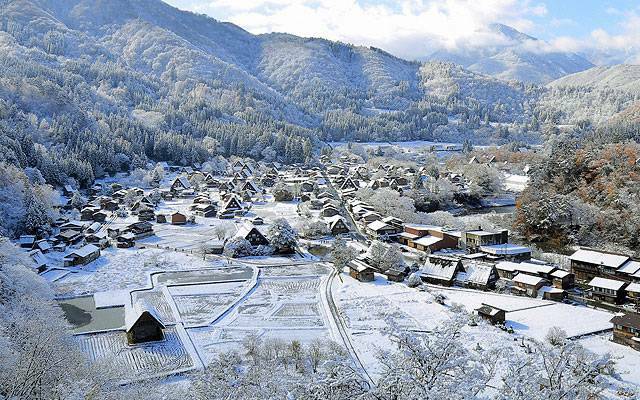 The quaint but beautiful village of Shirakawa-go, nestled in between a mountain range, is actually a UNESCO World Heritage Site. This is the perfect place if you want to have a simple and quiet Christmas that feels like home. As the largest island located off the coast of South Korea, Jeju Island has a lot to offer. It has a rich history full of folklore and traditions, as seen in the intricate shrines and old rituals still performed in the villages. 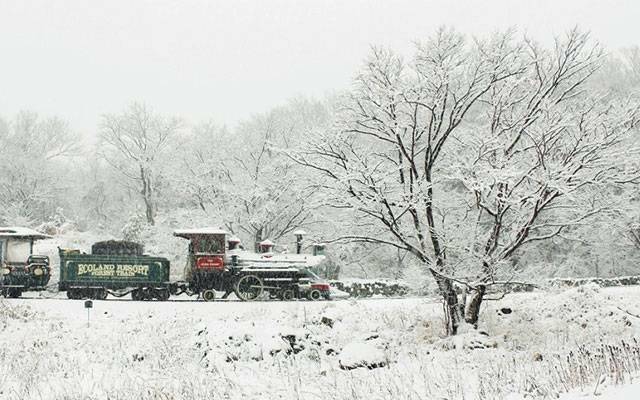 There's also Ecoland, the theme park on the island that has an electric train, which gives you the best view of the snow-covered island in winter. The "Cloud City" is already beautiful as is-with a sea of clouds enveloping the small town, it's easy to appreciate the beauty of its scenic landscapes. You can see the powdery snow layered by the huge rice terraces, and you'll also be rewarded with an amazing view when you climb the trails. The city held its first snow festival in 2016 and celebrated with performances from different ethnic groups, folk games, and displays of locally made products. The Yushan National Park is so big that it covers numerous types of lands, from barren cliffs to lush forests, as well as an ice-capped mountain range. Thrill-seekers would have a field day making their way to the top of the terrain, all the while getting closer and closer to the highest peak in Taiwan. 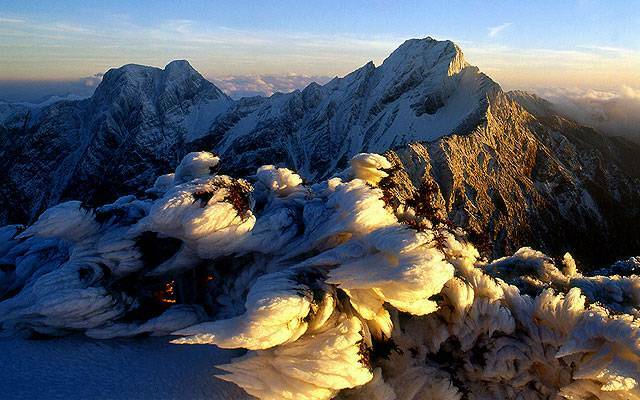 Fun fact: "Yushan," which actually means "Jade Mountain," shines like-well, jade, because of the thick snow that covers its top. 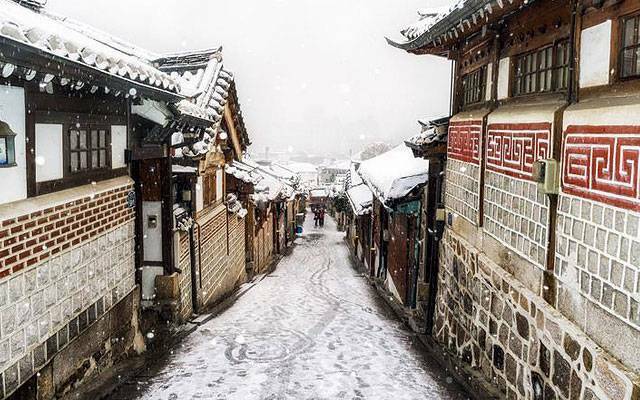 If you want to live out your K-Drama fantasies, winter in Seoul is the perfect time to do it. Every year, the Seoul Plaza Ice Skating Rink, located in front of the city hall is opened to the public, so you can enjoy skating. Cheonggyecheon Stream, a recreational space, is also decked out in lights for the Seoul Christmas Festival. The Seongbuk District has a European Christmas Market where food and handmade items from different countries are sold. Who knows, you might just bump into your oppa while making your way around the city! 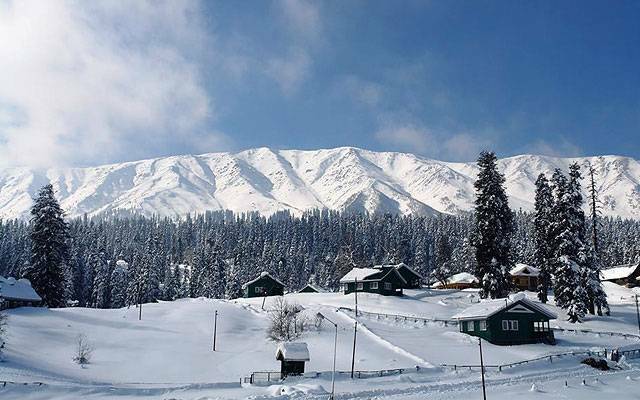 There's no shortage of beautiful landscapes in this mountainous region of Northern India. During the warm months, there's lush greenery everywhere. But when winter arrives, the rocky hiking trails become smooth ski slopes and the gondola that travels from one edge of the mountain to the other will give you spectacular views of endless white snow.